This past Monday, 11 February, was ‘International Day of Women and Girls in STEM’, a celebration of the strong females making their way in a male-dominated profession. At Paddl, we take a lot of pride in this day for many reasons. Firstly, we are a start-up tech company who boast a 40% female engineering team! Secondly, we have over 1,100 female users in STEM related studies and careers (26.5% of the total). The average number of women in STEM is Australia is 17%, so we couldn’t be prouder about our numbers and hope they continue to grow! Because of this, we have decided to spend a week celebrating ‘International Day of Women and Girls in STEM’ in order to get the conversation started and more girls inspired into following a career path in STEM. 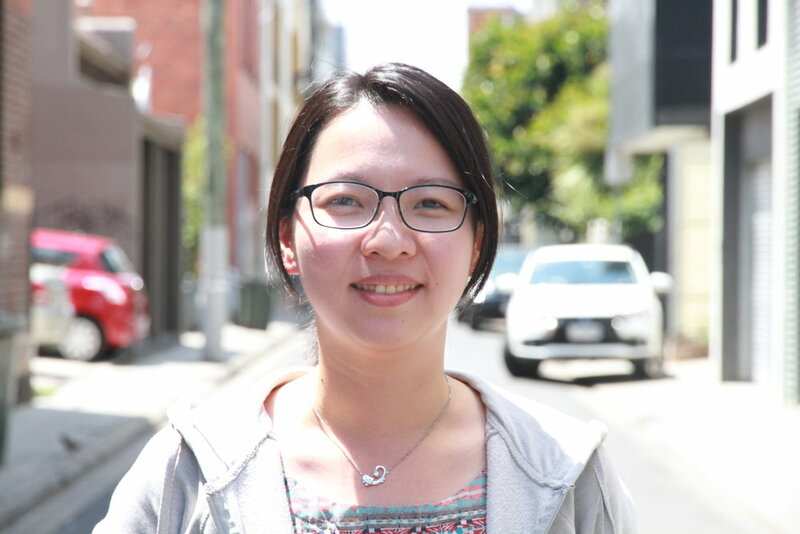 We’ve chatted to one of our amazing in-house Software Engineers, Irene Lin, to see where her journey began, what she’s learnt along the way and what tips she’s got for those looking to pursue a STEM career. Can you start by telling us a bit about your background? What did you study? So I grew up in Taiwan, and after finishing high school, I went straight into a Bachelor of Material Science. This area of study involves understanding materials at a microscopic level to develop technology in areas like health or engineering. This was not a common area of study! There were only 7 girls in my class (out of 50). I stuck with it though, but when I finished, I decided this type of science was not for me. I then decided to pursue engineering. What made you decide on engineering? Was it something you had an aptitude for naturally or did you discover this over time? I thought this would be a good industry for me to explore based on some of the transferable skills I gained from uni. I landed a job in ‘patent engineering’ - I was interested in understanding why people were inventing things, in their own specific way. I figured jobs for patent engineering would always be around. I then moved on to work as a research assistant, where I was working with a large scale microscope, helping people use it for their studies and research projects. I found I was using a lot of calculations and formulas to document data as part of this role - I mastered Microsoft Excel but it wasn’t easy! I wanted to find a way I could complete tasks like this in a simpler fashion. That’s when I discovered I really wanted to explore programming. I began to really enjoy it. There’s always standard you need to achieve for something to run, but then it’s up to you to let the creativity kick in - you can work on making it cleaner and better. There’s a real sense of achievement when something is complete! So how did you go from all that to landing the job at Paddl? Tell us a bit about your journey, what excited you most about joining the team? I explored a few more things before getting my working rights in Australia. I developed skills around programming and joined a community group that met a couple times a month to develop these skills. It wasn’t long before I was attending industry events with these people! I found it really important to keep exploring what I was passionate about. One thing led to another, and I made my way over to Australia and continued this networking-based approach to find work. After the interview for Software Engineer at Paddl, I was keen to put my programming skills to the test! You said you explored a few things before joining Paddl, have you noticed more women exploring STEM related roles compared to when you studied at uni? It’s not something I’ve thought about to be honest! Thinking back now, there wasn’t that many women in STEM back home in Taiwan. There were some female staff in college, but less female professors in higher positions I would say. I’ve definitely noticed more women in tech and engineering roles amongst the Melbourne community. So now you’re at Paddl! You must do some pretty cool stuff in a start-up, like building things from scratch. What’s your average work week like? Is it what you expected? Seeing what the software you develop can do is very exciting, especially in a start-up! I don’t think I have an ‘average’ work week, parts of my job can be so different. My team (engineering) works closely with the design team to implement changes to the platform we created. Some weeks we spend the whole week planning, other weeks we execute changes according to the specifications given to us. It changes so much, which is always fun. I didn’t really have an expectation, I just knew I was ready to learn more - I’ve definitely developed better front-end skills as an engineer! The importance of exploring STEM related pathways is becoming more and more prevalent and there is a demand especially for women in this sector. What advice do you have for other women and girls looking to pursue a career in one of the STEM pathways? Having explored a few different things before finding what I was passionate about, I would say to not limit yourself. Learn from the community around you, whether it be male or female role models. Get involved with what you’re interested in! I had really good experiences by involving myself in the STEM-based networks around me, both in Taiwan and here in Melbourne. Put yourself out there, don’t limit your chance to meet people! There you have it - software engineers are innate problem solvers with excellent collaboration skills, and we’re proud to say Irene does this beautifully!